The team that came to be known as the Datu began as passion and commitment to the game met a determined Jared Famor. The challenge was to build a team that wanted to play and commit purely to the sport. 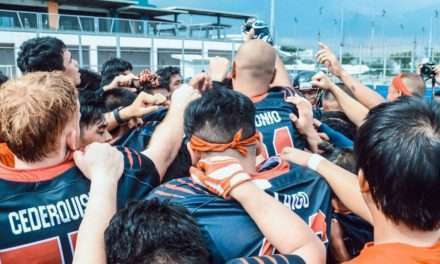 This, at the time that several leagues and teams were controversially big messes in the American Football scene in the Philippines, was a daunting task. It was at this time that he crossed the likes of Jay Laborte and Aaron Velasquez, two members of the Tribe who would go on to captain the squad until present day. Add a bunch of rag and tag guys who came from different teams and some walk-in tryouts and the Datu was born. 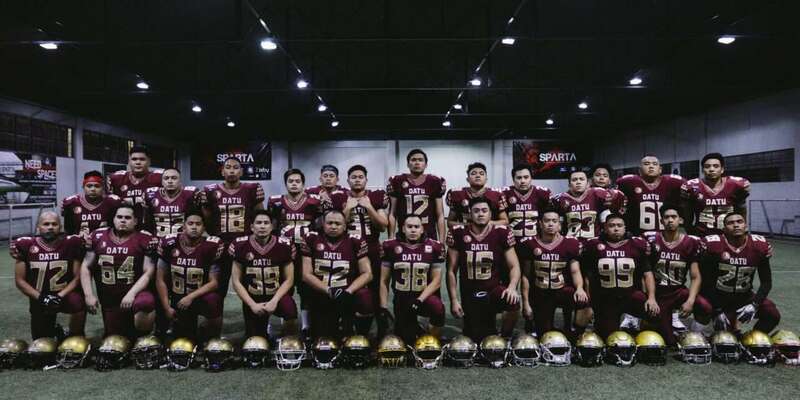 Though without a championship appearance since the inception of the Philippine American Football League (PAFL), the Datu Tribe has been knocking on the doors of the upper tier teams. 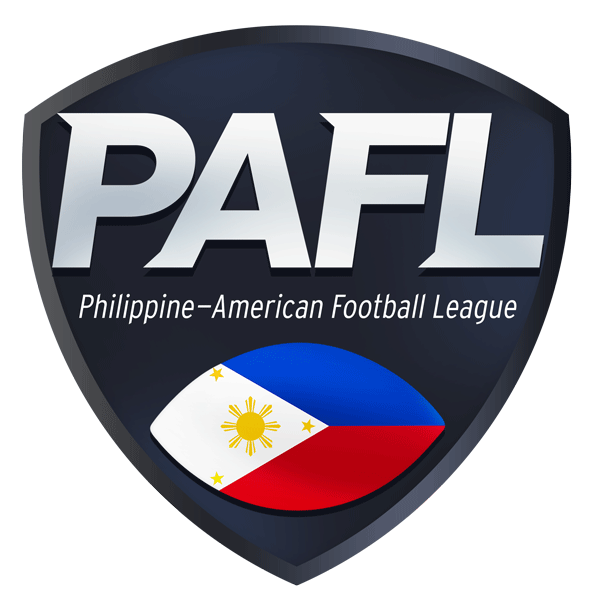 The Datu has always been on the outside looking in and this season is another chance to get a crack at that elusive PAFL Championship. Consistently in the playoffs, this year’s team is looking to get over the semifinals hump to better each year’s performance. Midnight trainings and two-a-days were made in preparation for this season, and the roster is nothing short of promising. 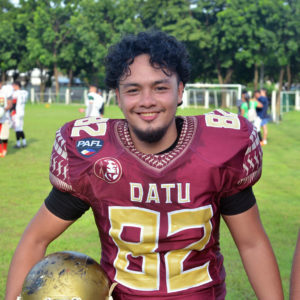 New offensive captain Allenwer Capati will hold the line alongside Stephen Reyes, Lex Ansaldo, and William Njiondo. 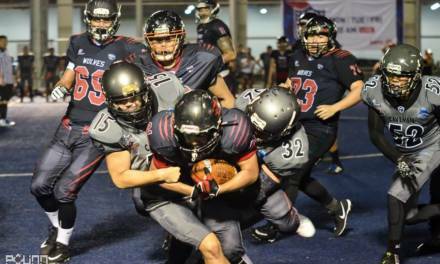 The core offensive skills lineup of Aaron Velasquez, Ian Lim, Oliver Bautista, and Gio Vergara will continue to answer to quarterback Wewe Alvero, while adding the likes of JM Camay and Gabriel Pelagio to the mix. The defensive core is still intact with the Laborte brothers leading the charge with Bright Samuel and Jaimel Dacanay clogging up the gaps. 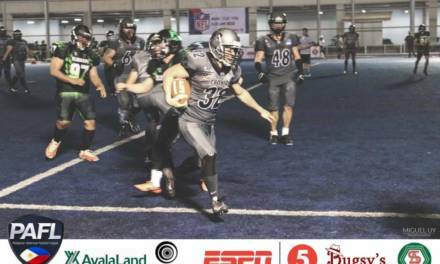 Corner backs Kane Alferos and Ryann Pulvera got some help as walk-in tryouts Jeo Maramara and John Abad are lined up and ready to play this 2018 season. Seasoned veterans Arbie Santos, Don Escano, and Nars Custorio will provide steady presence to the team, while Reggie Samson and Nate Dela Fuente provide extra muscle on both offense and defense. Whether it’s hitting or getting hit, The Datu Tribe is always ready for more. This team has been through the pain of past shortcomings, but always ready to lay all their guts out for a taste of PAFL glory. 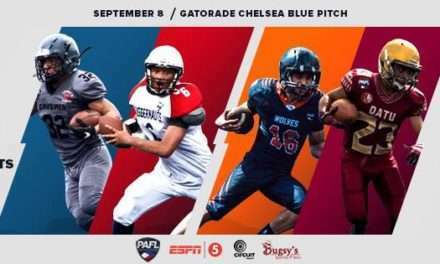 The Datu Tribe is set to open its season against the Olongapo Warriors on opening day of the 2018 PAFL Season at the Gatorade Blue Pitch at Circuit Makati. Kick off is at 5pm on the 1st of September, 2018.